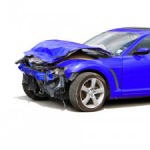 Getting quality North Carolina auto insurance protection can be challenging. Who do you trust to give you the right advice, proper protection and will be there looking out for you when you have an accident or claim? Call 866-869-3335 To Get the Right North Carolina Auto Insurance Protection For You at the Lowest Cost! This is when you need an independent agent that can shop the marketplace for you giving you the North Carolina Auto insurance coverage you need at the most competitive price. Imagine driving down the interstate on your way to work. You look down and reach for your coffee. Just as you look back up and focus ahead, traffic comes to an immediate halt. Before you can react, you slam into the car in front of you at full speed. The airbag deploys and saves you from significant injuries. You exit your car and rush to the car you hit. Through the broken glass window, you see the driver and passenger are unconscious. You immediately call for help. In minutes, the two injured people are rushed to the hospital. Your first concern is if they will be okay. Then you are amazed by how fast everything happened. You can’t believe you just caused this horrible accident and two people may be seriously hurt or worse, they could die. The accident is cleared and the paramedic urges you to get into the ambulance to go to the hospital to check you out. You are released in a few hours with minor bruises. Over the next few days, your body aches remind you of the accident and a vision of the two unconscious people you put in the hospital. The evening news reports that the passenger in the car has undergone multiple surgeries in the neck and spine and may never walk again. The driver should be released in a few days. Fortunately, they are both going to live. A few more weeks go by and you hear some good news. A successful spinal cord surgery gave the passenger’s doctors optimism for a recovery after several weeks of therapy. She will walk again but will but will most likely experience a lifetime of back and neck pain. Then you get a letter from your insurance company. You are shocked when you learn that the insurance company already paid the full limits of bodily injury liability and recommend you hire an attorney to settle the balance of the damages you caused. Your life has completely taken a turn for the worse and it happened in just one split second. You can’t imagine how much it’s going to cost. Someone spent over 2 weeks in the hospital, had multiple surgeries on their neck and back and may experience pain for the rest of her life. How much are you going to have to pay for this? You become angry. “Why didn’t my North Carolina auto insurance policy pay for all of this?” You never looked at your insurance policy. You didn’t know that you had such low limits. Will Your North Carolina Auto Insurance Policy Protect You If You Caused a Serious Accident Like This? Low policy limits, exclusions and endorsements can leave you with inadequate coverage that you can be left paying what your insurance doesn’t cover. This is why you need to review your coverages with someone that knows how to protect you. Give our office a call today at 336-869-3335 and let’s get you the right protection that will be there when you need it. Paramount Insurance is an independent insurance agency offering car insurance from 12 of North Carolina’s top auto insurers. We insure drivers from High Point, Greensboro, Raleigh, Charlotte, Wilmington, Cary, Asheville and all over North Carolina. Let us do the shopping for you! Does N.C. Auto Insurance Follow the Car or the Driver? 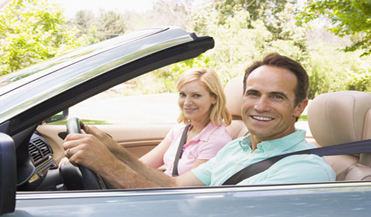 What Limits Should You Carry on Your NC Auto Insurance Policy? Are You Getting All of the Auto Insurance Discounts You Deserve? Are Your N.C. Auto Liability Insurance Limits Right for You? Why is My N.C. Car Insurance Bill Increasing?